An indoor hockey tournament almost turned to tragedy when the roof of a sports hall suddenly gave way and collapsed in the Czech Republic. Some 80 people were attending the floorball competition in a recently opened Ceska Trebova school gymnasium. According to newspaper Blesk, seven local teams and one from abroad were in the complex during the incident, but all managed to escape unhurt. One witness described how the building’s roof began to fall like a “pile of cards” as people desperately ran for the exits. The cause of Saturday’s incident has not yet been determined, reports Novinsky News, although heaps of snow are thought to have put pressure on the roof’s wooden beams. Building designer Thomas Frise has reportedly said that the school hall met construction standards. An investigation into the collapse is currently ongoing and the site remains cordoned off until Monday. 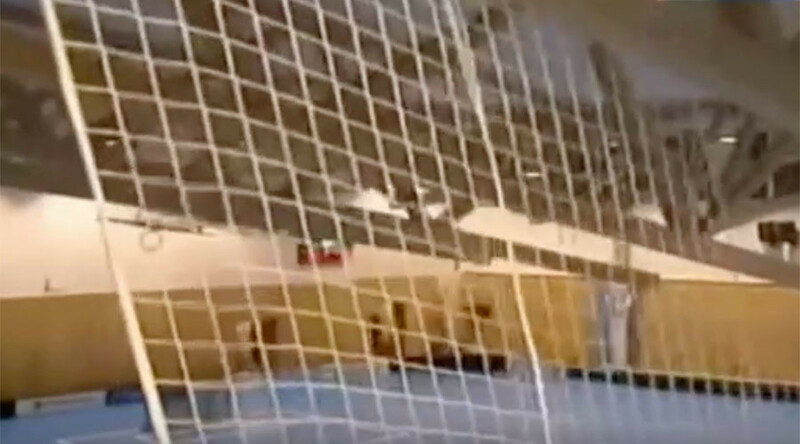 Video footage shows how players were forced to run for cover during a six-a-side game when the roof creaked and fell inwards.